Three motorways are waiting to quickly bring you to Camers. Whether from Munich, Dachau, Frei­sing or Pfaf­fen­hofen an der Ilm: you are only a 15- to 25-minute drive away. 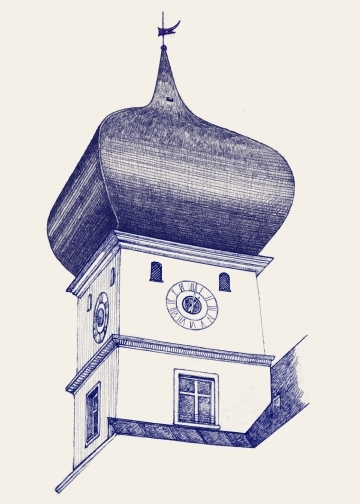 Our Schloss­res­taur­ant is a worth­while ex­cur­sion. Here we provide you with helpful information and high res (!) photography. Take the suburban rail, S2, from Munich’s Cent­ral Sta­tion in the dir­ec­tion of Ingol­stadt and get off at Peters­hau­sen. Schloss Hohen­kam­mer is just a few kilo­metres from Peters­hau­sen and easy to reach by taxi. The taxi ride from Munich’s Central Station to Hohen­kam­mer costs ap­prox­im­ately 70 Euros, which is what vis­it­ors should also cal­cu­late for a trip from the air­port. From the South take the A9 in the direction of Ingol­stadt/­Nürn­berg/­Berlin; from the North take the A9 in the dir­ec­tion of Munich. Exit the A9 at junc­tion Allers­hau­sen (67) and fol­low the signs to the left in the dir­ec­tion of Hohen­kam­mer. Leave the round­about at the second exit and follow the road, via Egl­hausen, to Hohen­kam­mer. At the end of the road, at Hohen­kam­mer, turn right onto the B13 in the dir­ec­tion of Ingol­stadt. 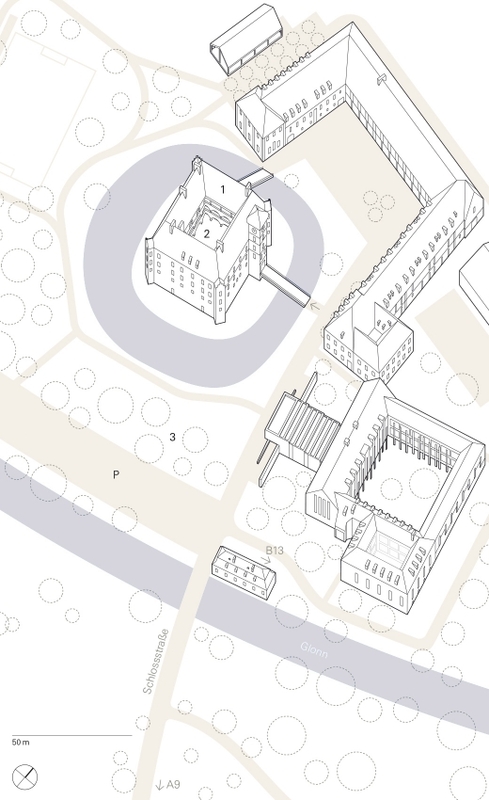 Follow the main road past the church and then turn left onto Peters­hau­ser Straße. You will reach Schloss­strasse on the right after 100 metres. Park­ing spaces are loc­ated dir­ectly after the bridge on your left. 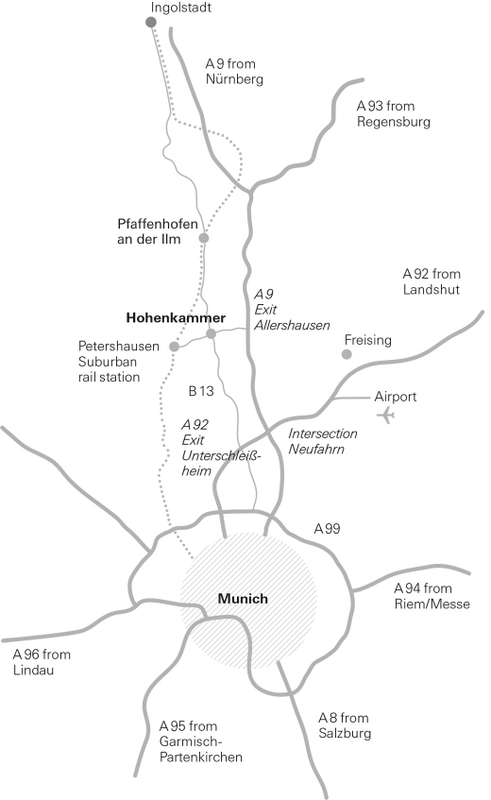 Leave the airport and get onto the A92 in the dir­ec­tion of Eching/­Munich. Change over to the A9 in the direction of Ingol­stadt/­Nürn­berg/­Berlin at the motor­way in­ter­sec­tion Neu­fahrn. Exit the A9 at junc­tion Allers­hausen (67) and fol­low the above dir­ec­tions. Please note that there are no taxis wait­ing at the Peters­hau­sen sta­tion! The Camers can be reached via the draw­bridge through the castle’s main en­trance. It is loc­ated across the castle court­yard on the ground floor. The vaul­ted room and the view of the castle moat provide the per­fect castle at­mo­sphere. The terrace is situated directly in front of the res­taur­ant, in the pic­tur­esque ar­caded castle court­yard. Schloss Hohenkammer GmbH has compiled all information and features of this website to the best of its knowledge and belief. Nevertheless it shall assume no guarantee whatsoever for the currency, correctness, completeness or quality of the information provided on this site. Liability claims against Schloss Hohenkammer GmbH for possible damages caused by viruses through the retrieving or downloading of data from this site shall always be excluded. In addition, Schloss Hohenkammer GmbH maintains the right at any time and without prior warning to make changes or additions to the information and features contained in this website. By clicking on certain references (hyperlinks) on the Schloss Hohenkammer website, you may exit this site. The content and design, as well as possible changes to the website referred to on the Schloss Hohenkammer website, are not subject to the influence or control of Schloss Hohenkammer GmbH. Schloss Hohenkammer GmbH therefore is not liable for the content of any linked website that is referred to on its website or, furthermore, for any other references to other website on such linked websites. Schloss Hohenkammer GmbH (SH) is pleased about your visit to our website, the use of our mobile applications and your interest in our company. We take the protection and security of your personal data seriously, and we want you to feel safe and comfortable when visiting our websites or making use of our offers. You can contact our data protection officer at E-mail or using our postal address, adding the reference “der Datenschutzbeauftragte” (the data protection officer).